West Brom chief Tony Pulis believes Saido Berahino will handle the growing transfer speculation after a heart-to-heart. The Baggies boss reckons the striker is in a better position to ignore rumours heading into the January window. 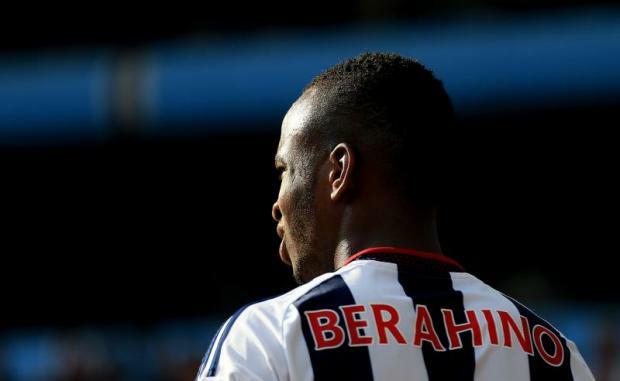 Berahino issued a strike threat in the summer after Albion rejected several bids from Tottenham on deadline day. He has already been linked with Chelsea this season but Pulis expects the forward to be more in control of his emotions. "You'd hope - he's had two or three windows now - that he's experienced this situation and he'll be a lot stronger and a lot more understanding of what goes on in terms of what's spoken about," he said. "I pulled him to one side and he made me a cup of green tea. "He had 20 minutes in my office, he understands, he knows the score. But it's taken a while to get him back to thinking straight." Berahino has scored just three goals this season and Pulis feels he has not been on top form going into Saturday's Barclays Premier League visit of Arsenal. Pulis left him out for four games during the transfer speculation earlier this season as he felt Berahino was not in the right frame of mind. Tottenham's summer bids were littered with clauses and add-ons and only marginally improved following a second bid of £21million. Spurs' approach only strengthened West Brom's desire to keep the 22-year-old - who scored 20 goals last season - but Pulis knows Berahino has struggled to overcome the disappointment. "That was a deep cut," he said. "It was something he hasn't experienced. "The opportunity of going to a top four or five club and not getting a move that he thought was going to just happen really shook him. "The club didn't think it was right and the club had the responsibility and the right to make the decision they made but it did affect Saido."